At least two people have been killed and half a million people are left without electricity in Florida, Alabama and Georgia after the fourth strongest hurricane on record—and the most devastating hurricane ever to hit the Panhandle—made a landfall in the afternoon of October 10. According to media reports, the most powerful hurricane ever to hit north-west Florida flooded beach towns, submerging homes and snapping trees. 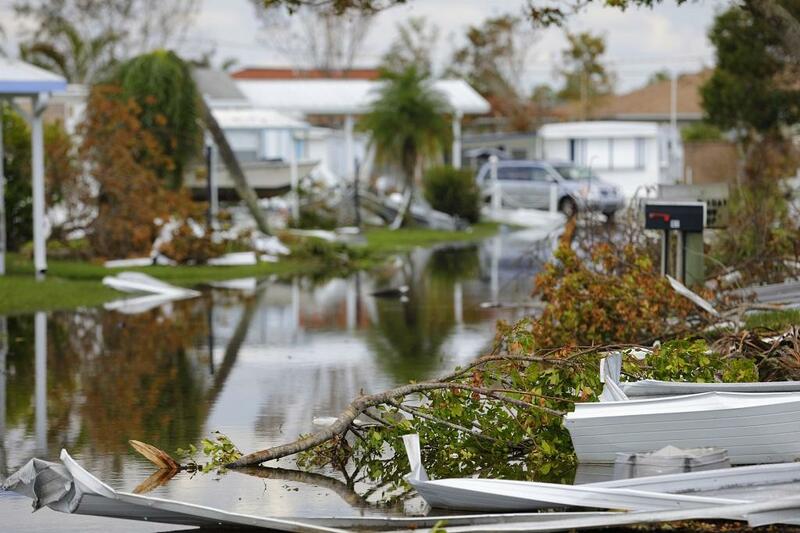 Hurricane Michael made landfall as a category three storm with 125mph (200km/h) wind speed in the state's Panhandle region. It quickly intensified into Category 4 hurricane with maximum sustained winds of 155 mph when it crashed ashore near Mexico Beach. It was worse than the Katrina that hit continental US in 2005. “Despite a remarkably quiet August, the 2018 Atlantic hurricane season has now officially met the NOAA definition of an above-average season with 14 named storms, 7 hurricanes, 2 major hurricanes and Accumulated Cyclone Energy of 112 to date,” said Philip Klotzbach, a hurricane expert at Colorado State University. 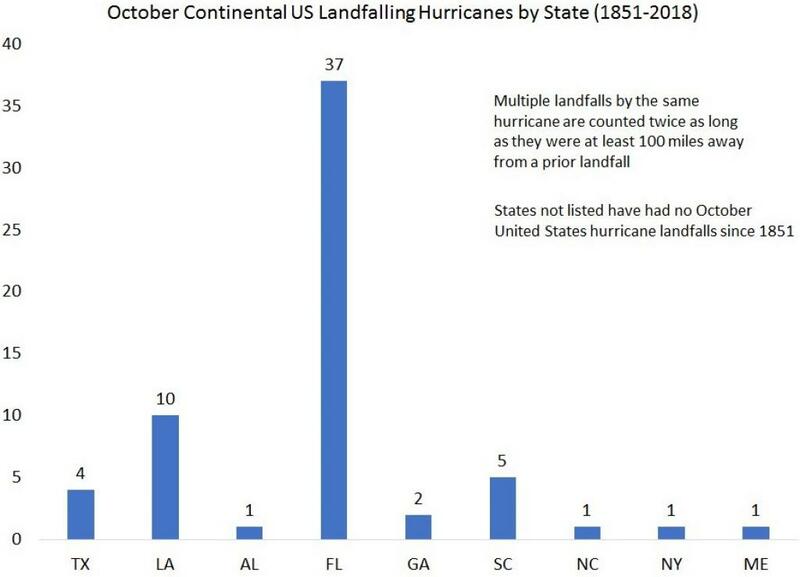 Florida is infamous for receiving highest number of hurricanes in October. 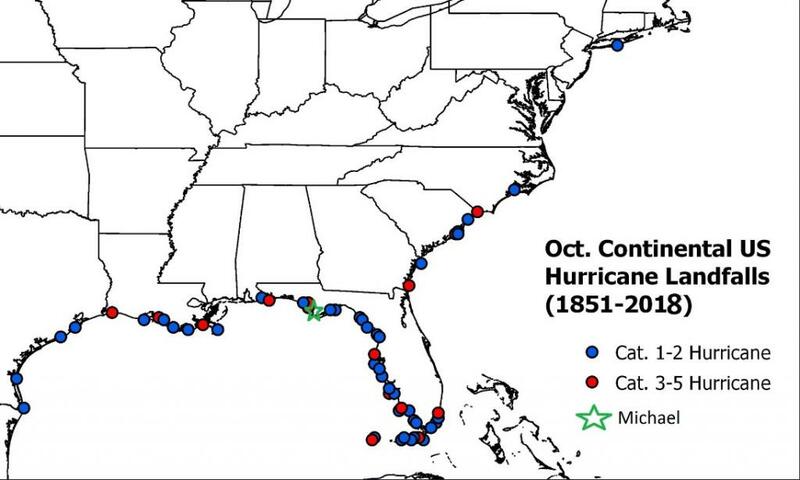 In fact, 37 out of the 62 October continental US hurricane landfalls since 1851 have occurred in Florida.